Ryan Johnson contacted me after my posts (here and here) on teaching Aristotle through active teaching exercises to tell me about his own active Aristotle classroom. I think you will share my enthusiasm for his creative approach. This is his account of how he teaches Aristotle’s Metaphysics. For me, metaphysics is a practice. While theoretical, it is still something you do. If a qualifier is helpful, let’s call it lived metaphysics. I learned this from reading ancient metaphysics, especially Aristotle’s τὰ μετὰ τὰ φυσικά. This sense of metaphysics as a lived practice inspired how I teach Elon University’s Ancient Philosophy class. The constant theme of our class is: metaphysics is not a rarified, merely theoretical discipline, but is an activity, a practice. Metaphysics is something you really do. The question was how to turn this into a class. Here are the four main ways I teacher ancient metaphysics as a practice. First, I turned Aristotle’s Metaphysics into a five-act Shakespeare-inspired play and used that to structure the course. Second, I turned Act I, which focuses on the moments in pre-Socratic philosophy that Aristotle discusses in Book I, into a series of experiential learning exercises. I developed these with the always creative and inspiring Rob Leib of Florida Atlantic University. Third, the students’ semester-long writing assignment was to write their own metaphysical treatises, as well as critique each other’s treatises and then re-write their own in response to their peers’ critiques. Fourth, students performed what I call metaphysical ekphrases. First, I organized the semester as a five-act Shakespearean play. 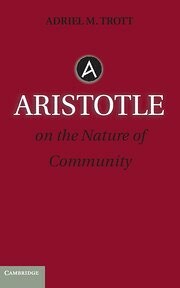 Each act focused on a different part of Aristotle’s Metaphysics. Second, Book I of the Metaphysics is a dialectical history of Aristotle’s predecessors’ attempts to answer the question of being. In our class, Act I, the “exposition,” turnspre-Socratic philosophy into a series of experiential learning exercises. When Aristotle mentions a pre-Socratic philosopher, we read not only what Aristotle says about that philosopher, and not only the writings attributed to those philosophers, but also do an experiential learning activity. For example, when Aristotle talks about Thales, we read Thales’ fragments, along with what Aristotle says in Book I, and we have class in a pool. Whatever better way to think about a metaphysics of water than to be in water? When he mentions Parmenides, we sit as still as possible in class, only speaking in nouns and adjectives. Then when we read Heraclitus (and what Aristotle says about him), our class pushed the chairs to the walls and kept moving, while speaking only in verbs and adverbs. With atomism, students brought in objects that we then try to divide (by chopping, scissors, hammering, ripping, etc.) into nothing, eventually creating a heap of particles that used to compose macro-objects. In sum, for every philosophical predecessor Aristotle mentions in Book I, we read that philosophers’ own writings and perform experiential learning exercises. Act II, the “rising action”, turns to Plato, wherein we read a whole dialogue (later in the semester, students go out on campus in pairs and try to convince random people on campus of their differing definitions of being). In Act III we read the aporiai from Book III. It is the “crisis” because the aporiai in Book III come from the philosophical predecessors that we engage in Acts I and II. Act IV, the “falling action,” is the heart of the Metaphysics. We spend most of the time just close-reading through the incredibly intricate arguments in Books IV-IX. Finally, Act V, the “resolution,” turns to Books X-XIV, as this is when Aristotle provides his final answer to the question of being: god. Third, their writing assignment was to complete their own metaphysical treatise. It consisted of three parts. First, a draft of their treatise. as the constant theme of our class is that metaphysics is not a rarified, merely theoretical discipline, but is instead a practice, students wrote metaphysical treatises, that is, they articulated what they take to be the meaning of being or existence. Beginning with an opening metaphysical proposition, the treatise consisted of deep and thorough-going conceptual analyses, and the pursuit of implications following from that proposition and the concepts dug up in the analyses. Second, critiques of their peers’ treatises. After they submit their treatises, I anonymize them and then ask students to write up critiques of two of their classmates’ treatises. Emulating the critiques that the ancient philosophers we read, students provide analytical and helpful critiques of their peers’ articulation of their answers to the metaphysical question. To evoke to a peripatetic spirit, students took 30 min walks with the people who wrote the two metaphysical treatises that they critiqued (after I de-anonymized them). On these walks they discuss their critiques and their treatises, and later co-write a half-page report of their walk. Third, they revise their treatises and considered how their answers to the question of being might influence how they live. To do this, they create a two-column document, with their revised treatises running down the left (larger) column and theirs responses to those critiques running down the right (smaller) column. In the right column, the students summarize and encapsulate their critics’ words, thus practicing the sort of commentary tradition that was common to late antiquity, especially in commentaries on Aristotle’s metaphysics. This two-column re-written metaphysical treatise is a way of dialoguing on the page itself. Moreover, they also indicated specific ways in which this might affect how they live. The idea is this: what we think the world is made of affects how we live in the world. Put differently, one’s account of what it means to be changes one’s being in the world. To do this, students focused their metaphysics on a new aim: everyday life. Fourth, “metaphysical ekphrases.” Ekphrasis is a technique in art practice in which one attempts to translate the essence or form of one work of art to an artwork in a different medium. Examples include trying to write a poem based on a painting or trying to make a movie out of a book. Each ekphrasis thus translates from one medium to another. Since this is a translation, something is lost and something is gained. Think about how if a filmmaker tries to make a film that completely emulates a book, the film is quite bad. But if she realizes that the possibilities for film are different than the possibilities for literature, she embraces the differences and takes advantages of all the new things that a film can express about the story in the book that the book cannot express about itself. In this spirit, students made exphrases with philosophy texts and music. We had a class session in which students brought in songs (recordings or played live) that translated an idea in one of the texts we read. Other students then tried to guess which concept was being translated, before arguing, as a whole class, as to whether a song captured some metaphysical idea. I am currently teaching this class for the third time, including the alterations I made in response to student feedback and discussions with friends and colleagues, especially my dear friend and fabulous teacher Rob Leib. I am aware that this type of class might be appropriate to my type of institution, and I am grateful to have a Department and University that encourages this style of teaching. Even though others might not find this style of teaching effective for their respective schools, I would be delighted to hear thoughts or feedback from anyone willing to think about teaching ancient philosophy in new ways. Ryan Johnson teaches philosophy at Elon University in North Carolina. He has published The Deleuze-Lucretius Encounter(Edinburgh UP, 2017) and the forthcoming Deleuze, A Stoic. He is also contributing co-editor of Contemporary Encounters with Ancient Metaphysics (Edinburgh UP 2017), The Metaphysics of Nothingness (Davies Group Press, 2012), and the forthcoming Epicurus and Nietzsche(Bloomsbury). Ryan teaches many classes that seek to cultivate an immersive experience of philosophy as a way of living, including, The Philosophies of Rome, Gastrosophia: A Philosophy of Food, and Hegel and Black Thought: A Phenomenology of Black Spirit.